Calling all broke kings and queens. 1. Take some time each week (or every day if you're feeling especially stressed/down) to list things that bring you joy. The journal is divided into four sections (with 13 lists each): Reflect, Acknowledge, Invest, and Transform. Start scribbling away! 2. Bundle up with cute earmuffs that double as headphones for a toasty, musical walk. 3. Prepare for an intense night of marathoning Netflix with all the essentials included in this survival kit. You won't have to leave the couch for hours (days?). Get it from Urban Outfitters for $20. 4. Soak yourself in a deeper and warmer bath with this handy suction cup. It covers the overflow drain so you can fill up your tub past its usual limit (and actually submerge yourself in water, imagine that!). Get it from Amazon for $9.68. 5. Borrow some heat-free hairstyling tips from Dream High 2's resident diva Rian with these darling strawberry sponge rollers. Get a set of four from Memebox for $4. 6. Snuggle up in a mermaid-tail blanket and feel like less of a poor unfortunate soul. Get it from Amazon for $13.88. 7. Physically de-stress from the toll of national events with some unicorn-inspired putty. Get it from Monstrous Things on Etsy for $4.50. 8. Prove that 63 gummy bears is the perfect portion size with this silicone mold. 9. 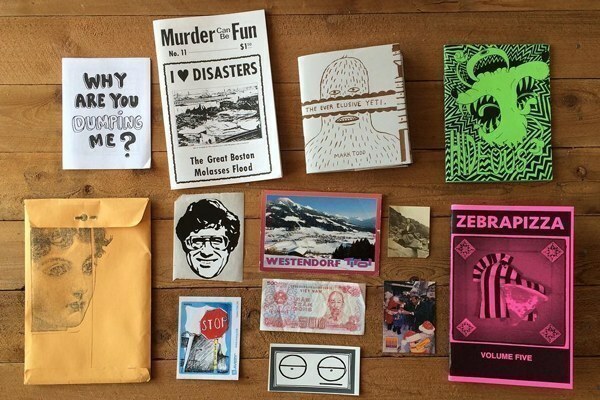 Treat yourself to a subscription box that delivers curated zines and underground artwork to your door every month. 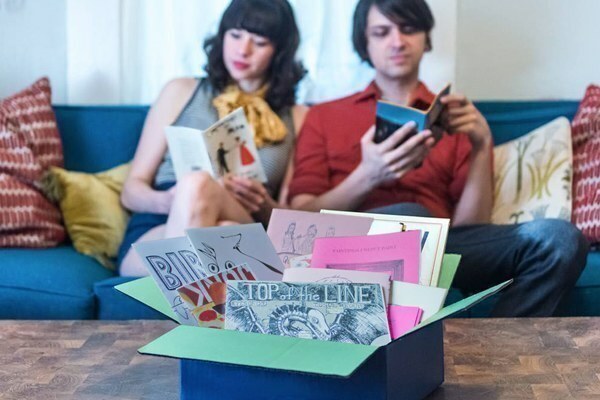 Get a Zine-O-Matic subscription on Cratejoy for $13.99+. If you'd prefer a standard book subscription, check this box out. Or if coloring books are your thing, check this box out. 10. Make your head feel ~light and tingly~ with a scalp massager. Get a pair from Amazon for $2 (or four for $5.70). 11. Quench your dehydrated AF skin overnight with a banana and chamomile sleeping pack. Get it from Soko Glam for $18. 12. Pad your winter boots with sheepskin insoles for extra warmth and comfort. Get a pair from Amazon for $14.95+. 13. Give yourself a super-easy (and magical) manicure with these iridescent glue-on nails. Get the set from Urban Outfitters for $16. 14. Or you can go the old-school route and paint your nails with this snazzy color-changing formula. It'll actually force you to relax while you wait (very calmly) for them to dry. You can reply to those emails later...not that you really want to anyways. 15. Or ditch the color altogether and take care of your actual nails with this lemon-fresh kit. 16. Plan out the best parts of your day (FOOD!) or give yourself random (but warranted) compliments. "You actually made your bed this morning?? KILLING IT." Get the first one from Amazon for $4.98 and the second one for $5.25. 17. Take a relaxing trip (even if it's just within your state!) with the help of this dog-eared travel pillow. Get it from Forever 21 for $9.90. 18. Toss some scented sheets into the dryer so your clothes smell like pure lavender pine ~bliss~. Get a box of 80 sheets from Amazon for $10.03. 19. Store your beauty products in a Moomin bag as a reminder that you're stunning with and without makeup. Get it from Amazon for $11.65 or Asos for $15.50. 20. Enjoy a lazy Sunday at home working your way through an entire book of crossword puzzles. Get it from Amazon for $8.99 (will be released on Jan. 24). 21. Upgrade your regular mittens for ones that have a hidden flask in them, because why not? Layer on that alcohol blanket. Get a pair from Urban Outfitters for $24. 22. Never suffer the fate of a cooled-down or lukewarm drink ever again with a handy cup warmer. 23. Slather on some mermaid-tears soap and lip balm for a buttery-soft bod and pout. No mermaids were harmed or forced to cry in the making. Get the set from Sapling Naturals on Etsy for $9.25. 24. Or opt for some colorful lips with these waterproof lip tints that look like miniature wine bottles. Get a set of six from Amazon for $11.99. 25. Catch up with a friend over drinks in the comfort of your own home with this classy cocktail set. Bonus: No randos hitting on you at the bar. Get it from Urban Outfitters for $19.99. And if you want some color, this black-and-gold cocktail shaker is a cool option. 26. Effortlessly create refreshing equal-part cocktails with this photogenic book. 27. Exfoliate and hydrate your cracked lips with this delicious-smelling scrub ASAP. Get it from Amazon for $13.53. 28. Allow yourself a final toast to 2016 with this dope coloring book of the past year's most iconic memes. Get it from The Meme Bible for $7.99. 29. And finally, remind yourself what a boss you are with these ego-boosting socks. Get them from Amazon for $10.65. The crowned cupcakes say it all.